Look who’s bringing the milk in! It’s me in my new Canadian Tuxedo with patch pockets. 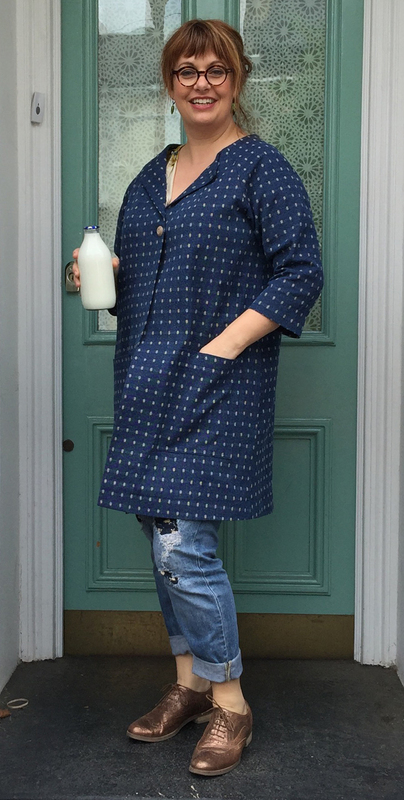 I made a denim version of my Lotta Jansdotter’s Everyday Style Pilvi coat. Now that I have altered the patten to my liking, it’s a very fast make ~ maybe half a day to cut, make and bind the seams. This version has a folded back collar with snap fasteners. You can see I had finished the coat and was playing with different button ideas on my mannequin. It doesn’t fit on my large size mannequin, because I have narrowed the shoulders to fit me. Then, I decided I wanted to add patch pockets to the front. These are much more convenient and don’t pull the coat out of line with the weight pocket items or my resting hands, and I like the look. I think of it as Canadian Scientist. I’ve done some major alterations on these jeans including over 6″ of darting to the back waist. I’ll show you that in another post. I kept the side seam pockets. After all, more pockets = happy wearing. Patch pockets are quick to whip up if you have a fusible tape on hand. If you aren’t using Steam-a-Seam or fusible hem tape in your sewing room, run, don’t walk, to your nearest supplier and get some! It’s my favourite sewing room tool. I did a test this week to compare two brands: Steam-a-Seam and Hemline hem tape. They both worked really well on the cottons I tested them on and stood up to washing and scrubbing without coming unglued. I like to have the narrow 1/4 inch on hand as well as a wider one. Mitre corners and stick them down with 1/4″ Steam-a-Seam. 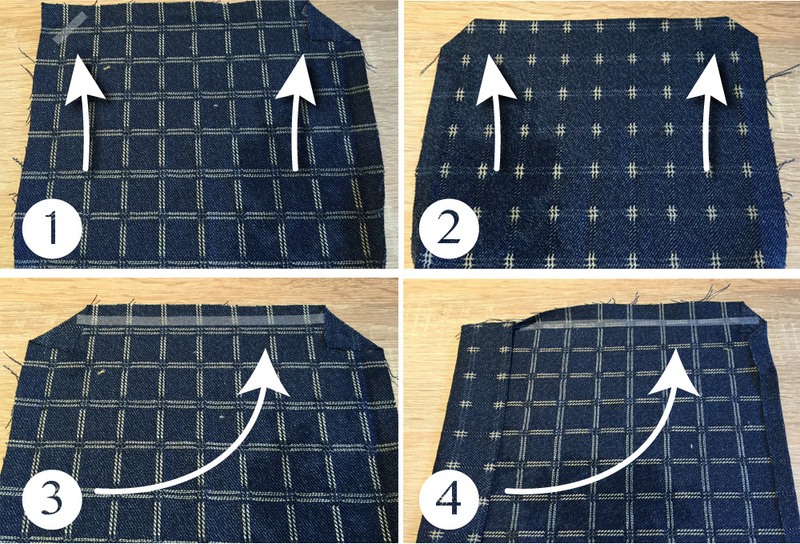 Cut a length of steam-a-seam for each side, fold in place and set with hot iron. Do this to all sides of the pocket and you are good to go. I use washi tape to hold the pocket in place where I want to sew them to the garment, rather than distorting the shape of the pocket with pins. You can sew right over the Washi tape and rip it away later. Nice square patch pockets, with the pattern matching easily and perfectly. 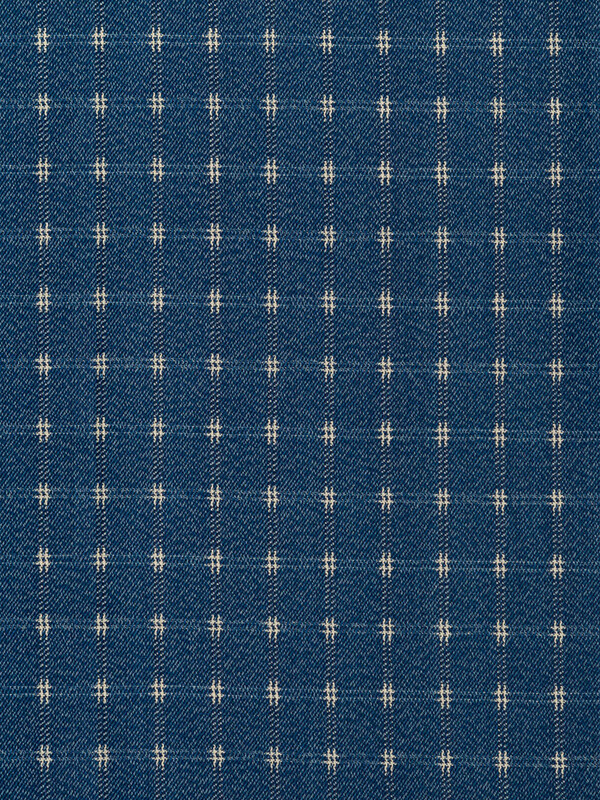 This denim was also available in this ecru version. It was lovely to work with. It surprised me how supple a twill weave can be without any lycra in it. 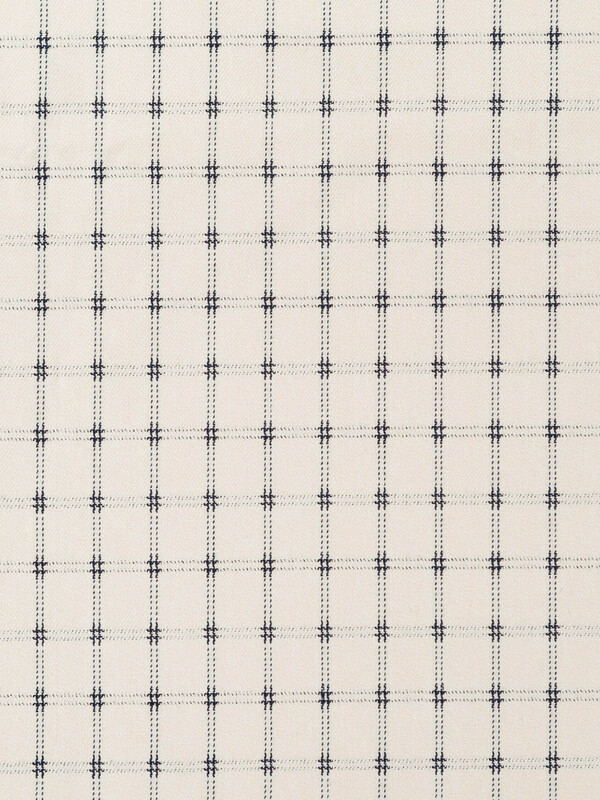 This fabric would make a great dress or culottes. 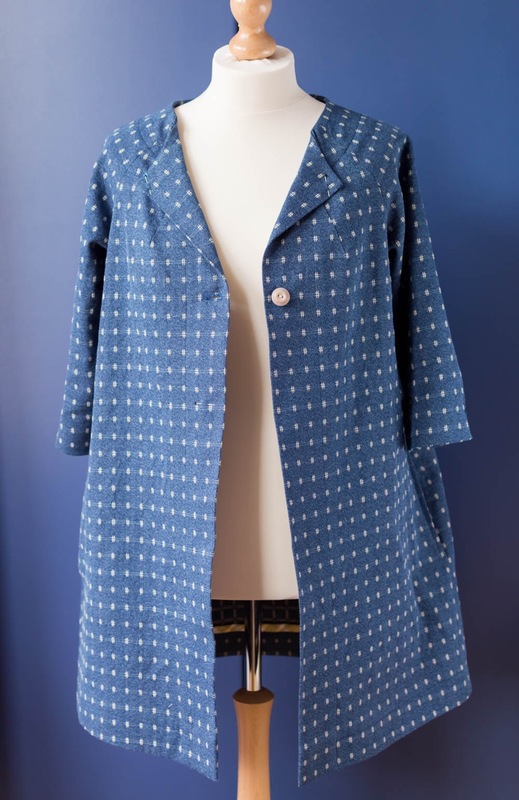 Love your coat – I’m on a loose and stylish summer coat spree myself but I’ve adapted existing patterns to suit my needs. I have 2m of the cream version of your denim planned for a pair of skinny jeans (when the marking finishes!). Can’t have enough pockets……..Great style. Summer coats ate the bomb! You’re going to love the denim. Why thank you mam! We never called them Canadian Tuxedos when I was growing up. Is this something Americans said behind our backs or did I just not know about it? We never called them that either (and I grew up in Saskatchewan, where they were a regular sighting!) I only think I started hearing that term a few years back! One of my American friends says her dad called them that when she was a kid. So it has been around a while, for Americans. A stylish coat and fabulous fabric. I love Lotta’s book – I made the Owyn pants and will make another pair soon but also need to make the Esme dress. I am now thinking about this coat! I want to make the Esme dress too. Haven’t got round to it yet though.